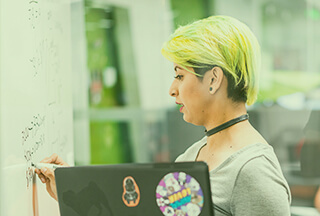 VMware End-User Computing Engineering is a high-performance culture marked by technical leadership, fearlessness, and intense focus on customer success. Our mission is to empower employees to easily access corporate applications, content, email, and more, from any of their devices, while ensuring enterprise grade management and security. We’re always looking to amplify our impact, and work smarter while continuously evolving how software is made. Our work directly impacts over 20 million people across 20,000 customers by delivering the world’s best Enterprise Mobility Management suite. Work on a small team of highly capable engineers, and designers using Agile engineering practices, continuous integration, and continuous delivery models. Climb new technology learning curves while learning the Windows 10 modern device management domain. Break down coarse grained engineering problems, make just enough design, get agreement, and own the effort to delivery. 6-12+ years of relevant experience building internet enabled (web, mobile, services) enterprise-class software systems and services.